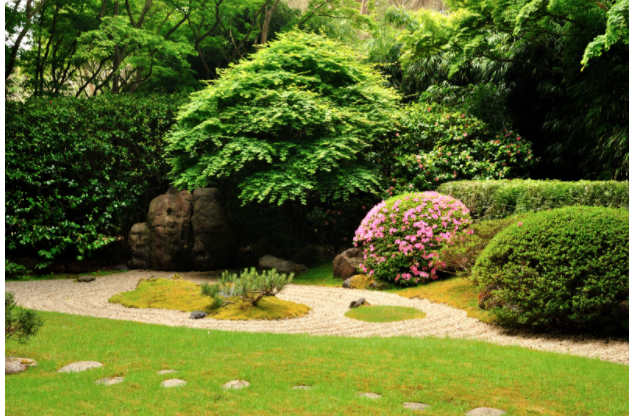 Ensuring your garden looks incredible throughout the year can be a difficult task. However, the key is to focus on the health of all tree and plant life. A healthy garden is a beautiful garden, so read on for some top tips. Shop with caution – The best way to limit disease in your garden is to stop introducing it to begin with. When shopping for plants, you need to know the signs to look out for to determine whether a plant is healthy or not. Don’t take any plants home that have insects, rotted stems, or dead spots. Such problems can easily spread to your healthy plants. It is advisable to get your hands on a few magazines and books, so that you know what a healthy specimen looks like. Don’t crowd plants – You need to keep an eye on established plants as they spread and be cautious when setting new plants. Crowded plants will generate their own humidity, which can result in diseases such as downy mildew, rust, and powdery mildew. Instead, by boosting the airflow surrounding your plants, you enable foliage to dry at a quicker pace. Professional tree disease diagnosis – Dealing with plant disease is one thing, but tree disease is a different matter entirely. If you think you could have a problem, the best thing to do is get in touch with the professionals, and they will be able to diagnose it. They can then combat the disease for you. For more information, head to www.treeservice-fortworth.com. Choose fertilizer with care – Be mindful regarding the fertilizer you use on your plants, as well as the extent to which you use it. Too much fertilizer reduces a plant’s ability to absorb water, as it burns the roots. This will make the plants more likely to suffer stress from heat, cold, and drought. Leaf spots can badly affect plants that are starved for nutrients, as they won’t be able to fight disease. Water plants properly – Of course, all plants need watering, but you need to be careful regarding how you go about it. Opt for approaches that reduce moisture on a plant’s foliage. This is important because a lot of pathogens in the air and soil require water to grow, move and reproduce. Drip irrigation and soaker hoses are worth considering. Keep an eye on bugs – Plant damage caused by insects is much more than cosmetic. Bacteria and viruses can typically only enter plants once an opening has been created, and this is exactly what bug damage does. Some insects such as aphids carry viruses from one plant to the next, making the problem much worse. For some tips on keeping pests out of your home, check out this blog: http://emptynesterreviews.com/giving-garden-love-deserves-summer/. Plant choices and garden layout need to be carefully considered – You must choose plants that are appropriate for your garden. If you set plants that love shade in full sun, they are going to grow poorly, and they will easily be attacked by insects and diseases.